My friend and I were at Chapters one time, and we saw a poster that advertised a book signing. 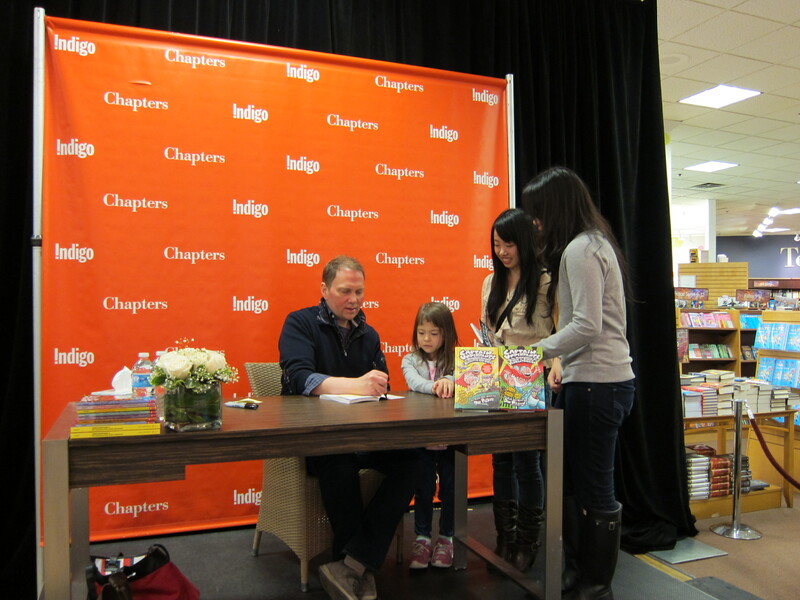 Dav Pilkey was coming to Metrotown for a book signing! We both decided that we would have to go because Captain Underpants was such a big part of our childhood. I remember sitting at my friends house after school and all we would do is read all his Captain Underpants books. Back then, everything was so carefree and the world seemed so much easier. And the underwear wearing captain really was a hero to us. Plus, toilet and school humour was always well appreciated. Anyone remember the Flip-o-Ramas!? Every book should have a Flip-o-Rama. Man, those things were like magic. At Chapters, the line up was not too bad, but there was a decent line. The Chapters staff served us salted caramel and cookies, making the line up more fun! My friend and I were giggling so much before we went to the little platform thing because we were getting nervous. We thanked him profusely, and what was amazing about his signing was that he did not just sign his name– he also drew you a picture too. 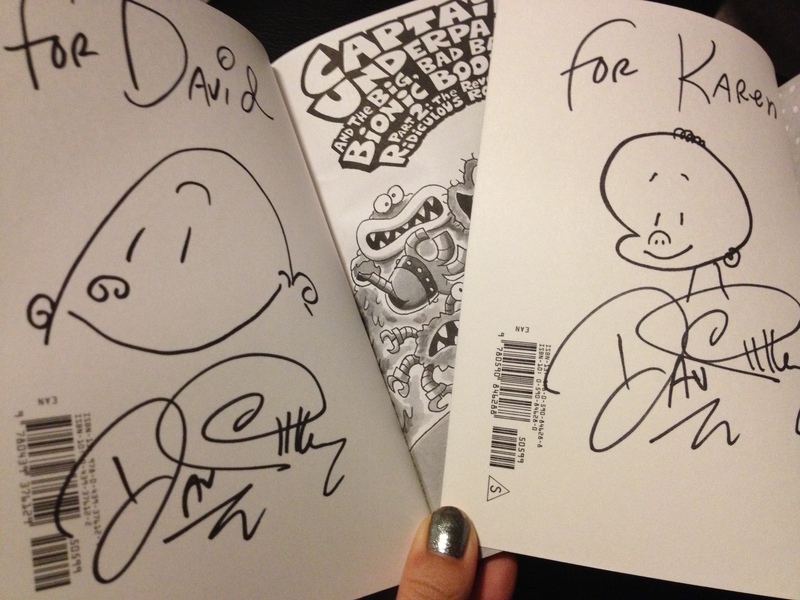 He drew Captain Underpants for my friend David’s book (he could not make it, so he told me to get him one), and for mine, I requested Super Diaper Baby for mine because he was so cute and I have always loved him! So thanks again Dav for making our childhood what it was! The Supernatural Wardrobe Sale–What’s a wardrobe sale?! I have never heard of this captain underpants but still a cool post. Sounds like a great time. You sir have got to go to the local library and check out a copy. Underpants, poo jokes, weird chapter titles..and much more.